Even Batman needs a wingman sometimes! There's nothing more annoying than fighting crime with a pocketful of loose change, so why not give it to your sidekick to hold? 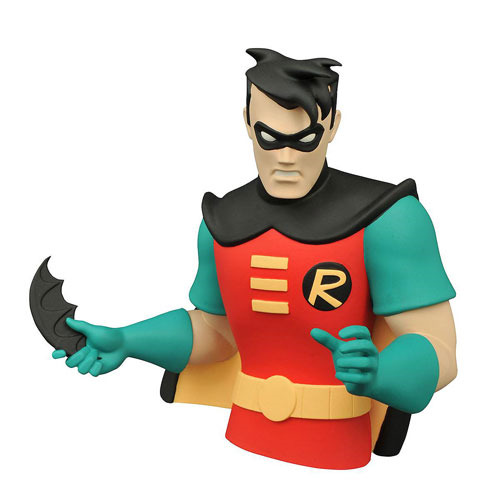 This vinyl bust bank of Robin is based on his appearance in Batman: The Animated Series, and features cartoon-accurate details, as well as a coin slot in the back and an access door in the base. Once secured inside the Boy Wonder, your money will be as safe as your secret identity! Measures approximately 7-inches tall. Ages 8 and up.